This year, we're asking students to think about who might be the voices of hope in your community. Who are the people working to help others, reach out to people on the margins, promote social justice issues and create a better future for everyone? It might be an inspirational teacher or student at the school. It could be an influential sporting coach. It could be a local politician, or a worker for a community organisation, or someone else who is doing inspiring work for others. You might feel like you don't have anyone that you know who is a 'voice of hope', but inspiring stories can be found everywhere. Start by thinking about some of the places in your community where you might find these people - for example your local church, social service organisations, local council, sporting clubs, or other places where people gather. Send them an email (or even better, phone them directly), and see if there's someone there that you can talk to about their work. Before you do the interview, make sure you're prepared. Firstly, see if you have any way to record the interview, to ensure you capture everything the person says. Mobile phones usually have a record function - if you don't have one, you might be able to borrow one from your parents for it. If you're doing the interview over the phone, use one phone on 'speaker' mode, and then use a second phone to record the interview. The other thing to do before the interview is to write a list of questions. Think about some of the things you want to know about this person - for example, how did they start in the role? What are some of the things they do? What do they most enjoy about the job? What do they find most challenging? Do they have any interesting stories to share? For the best results, try and ask 'open questions' - that is, questions that need more than a 'yes' or 'no' answer. Before you jump ahead and write the story, do some preparation. If you've recorded the interview, go back and listen to it, and even write out the person's answers. Doing this will help you better see the story on the page. You can also use these answers as quotes in the interview. Find the most important, or most surprising or interesting things that the person said. These can provide good ideas for writing the introduction to the story. Remember you have a limited word count for this competition (Juniors: 300 words. Intermediates: 500 words). So plan out how you're going to write your article. Journalists will also usually try to feature the interviewees' own voice in the story, using quotes. Try and use full sentences as quotes, rather than only quoting one or two words at a time. Make sure you also use your own voice in the article. We want to hear what you think about the person, and why you chose to write about them. 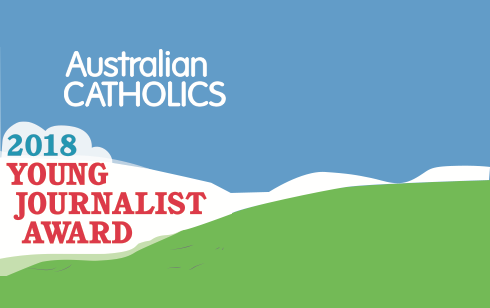 For more competition details, judging criteria and entry forms, go to www.australiancatholics.com.au.